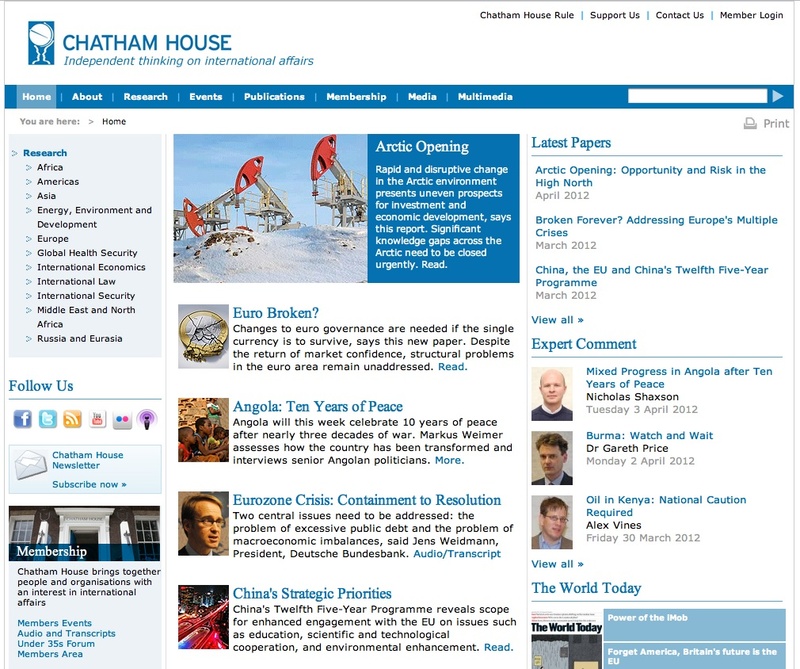 Chatham House is a London-based organization founded in 1920 and aimed to stimulate debate and research on international issues. The Chatham House members are both institutions and individuals, academics but also media people, politicians, NGOs, etc., interested in a free discussion about political, business, security, law and other key issues at the regional and international level. Chatham House experts provide interviews and material on the main center’s subjects of interest and on “hot” current topics. The website offers access to Chatham House general and membership info, publications and research papers. Along with a free monthly newsletter and other events alert, abstracts and excerpts are retrievable for free by all users and visitors as well as some working paper and report, while the entire access to full text of articles, papers and other contents are reserved to registered members only. All records can be downloaded in pdf format. Members can also access audio recordings and speech transcripts, as well as the online library material including 150,000 books and pamphlets, 1,500 full text journals and several current newspapers in English and other languages. Other publications as books and reports can be ordered and purchased online. This website is carefully updated and shows a quite easy navigation, thanks to a clear content organization.